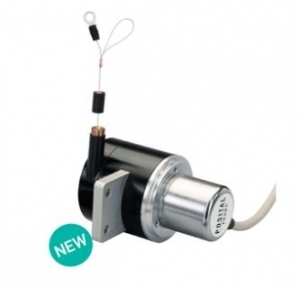 POSITAL is expanding their incremental encoder family to add their line of draw wire sensors. 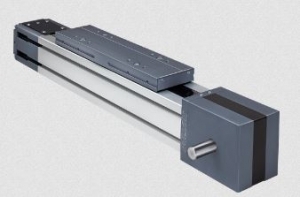 These new programmable linear sensors allow for even more versatility to their ever expanding LINARIX series. A unique Internet-enabled configuration management system for programmability lets users update and program these sensors on the spot. Thomson walks you through the makings of a smart electromechanical actuator, its integrated electronics, where it is best applied and three Thomson actuator families offering these solutions. 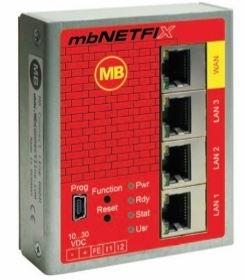 mbNETFIX is a self-learning, easy-to-configure industrial firewall. It can be operated in bridge or gateway mode. In bridge mode it is ideal for retrofitting existing networks. It can be installed out of the box, without introducing changes in the network and, once installed, it protects your networks immediately. In gateway mode, selected areas of a network can be separated. Again, the learning mode simplifies the creation of the filter tables. The concept is based on "security by design" right from the start. In order to keep attack vectors as small as possible, a web interface was deliberately disregarded. the firewall is configured with a specific software via the USB port. JVL Industri Elektronik A/S, one of the world’s leading producers in the field of integrated servo and stepper motors, has announced a completely new generation of the NEMA23 integrated stepper motors that have proved their value for many years. The new motor family, ServoStep, uses the newest technology and the advancement of the previous designs. The family has the widest pallet of options in the market and will thus fit into all possible customer applications. Integrated motors mean you get an all-in-one solution. In one unit you get motor, drive electronics, encoder, motion controller and an easily programmed embedded PLC with 8 I/O points on board. The motors can operate as stand-alone units or be controlled from a master PLC or PC. The 8 I/O points can be individually configured as digital inputs, digital outputs or analog inputs. 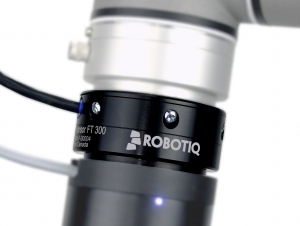 Robotiq launched a 10 times more sensitive version of our FT 300 Force Torque Sensor. This force torque sensor comes with an updated free URCap software enabling to feed data to the Universal Robots Force Mode, perform precise insertion assembly and a quicker calibration routine. With Plug + Play integration on all Universal Robots, the FT 300 performs highly repeatable force control tasks such as finishing, product testing, assembly and precise part insertion. 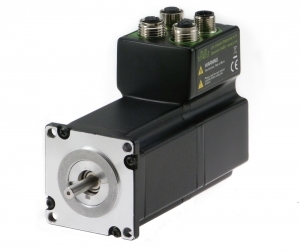 The FT 300 is a multi-axis force and torque sensor that enables Universal Robots to perform force sensitive tasks. It precisely detects and measures robot contacts in order to improve the robot control as well as simplifying its programming. The FT 300 is a perfect fit for precise force control tasks such as finishing, product testing, assembly and accurate part insertion. Ideal for switch applications like phase control in heating, motor speed controls, converters/rectifiers and CDI. 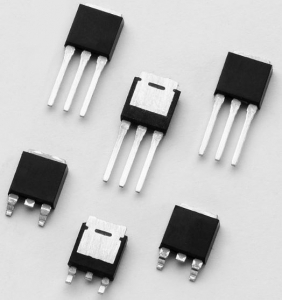 Littelfuse, Inc. last month introduced a series of high-temperature SCR (silicon-controlled rectifier) thyristors, the first of their kind to offer a junction temperature of 150°C in compact surface-mount D-PAK (TO-252) packaging. These devices are also available in through-hole V-PAK (TO-251) packages. Standard SJ Series SCR Thyristors have a low gate current trigger level of 6mA or 15mA maximum at approximately 1.5V. Sensitive models in the series feature a gate trigger current of less than 200μA. These sensitive gate devices can be easily triggered by sense coils, proximity switches, and microprocessors. Solid application know-how makes Leuze's inductive sensors the optimum solutions for your application. In industrial automation, it is often necessary to reliably identify metals regardless of their type and the contamination of the environment. Leuze offers a complete solution for this. 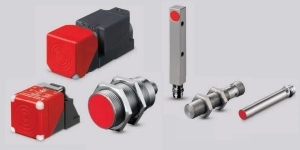 An array of designs, short reaction times, and various scanning ranges make Leuze's inductive sensors the right solution for nearly all areas of application. In combination with additional sensors and accessories from their extensive product range, they offer a perfectly tailored sensor solution. For some automation applications, it can be difficult to decide if a pneumatic or electric motor-driven actuator is best. Obviously, cost can be a big factor when choosing between the two, with pneumatic actuators typically costing less. 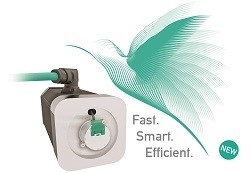 So why should you pay more for an electric rodless actuator? The answer boils down to higher levels of stiffness, as well as dynamic speed and motor control. 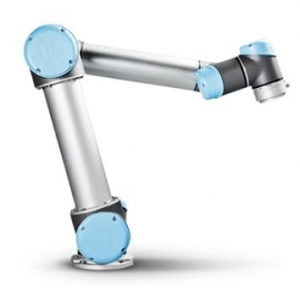 Universal Robots has reinvented industrial robotics with lightweight, flexible robot arms called Cobots or collaborative robots. Tasks previously thought impossible to automate due to cost and complexity, are now achievable with the user-friendly robots. Patented technology lets operators with no programming experience quickly set up and operate the UR cobots with intuitive, 3D visualization. Simply move the robot arm to desired waypoints or touch the arrow keys on the easy-to-use touchscreen tablet. POSITAL’s new family of kit encoders provide the manufacturers of motors and other machinery with rugged, accurate and cost-efficient tools for building rotary position feedback into their products. The new kit encoders are based on POSITAL’s highly successful self-contained magnetic rotary encoders. Now however, the core components of these instruments are available as separate assemblies that can be readily integrated into other products. • Smart Multiturn – Wiegand Technology – No Battery, No Gear!